Conventional wisdom is difficult to question, even when it is misguided and contains many contradictions. 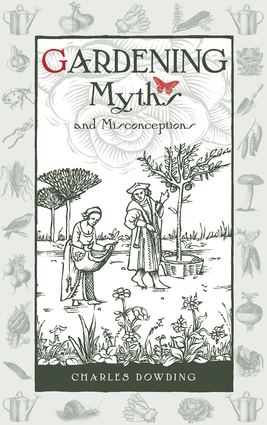 Gardening has its share of such myths—some with discernible origins in history, others that have become established for no obvious reason—and they often obscure simpler and easier methods of working. This delightfully illustrated book reveals how common sense triumphs and crops are more successful when these “rules” are overturned. This fascinating and practical book will save the seasoned gardener time, money, and unnecessary effort and give new gardeners heart. Charles Dowding is a veteran organic grower, having practiced no-dig gardening for 30 years. He is the author of Charles Dowding's Vegetable Course, How to Grow Winter Vegetables, and Organic Gardening; contributes articles to many magazines, including Gardeners' World, Gardens Illustrated, and Grow It! ; gives regular talks; and runs gardening courses. He has appeared on radio and television, including BBC TV's Gardeners' World.